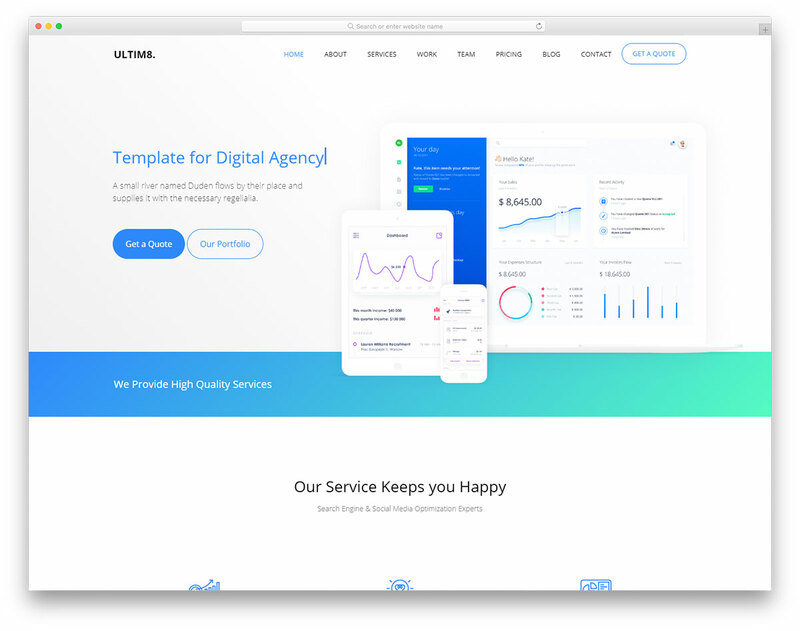 Professional, tidy and neatly crafted free non-profit website template, Giving, is here to take care of your organization. 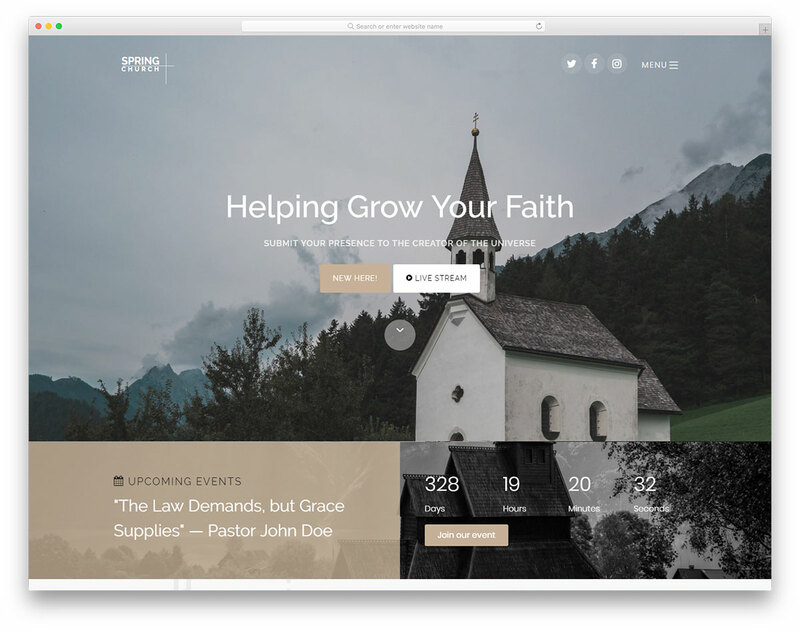 Save yourself time, effort and money and have a page set up in full with the help from Giving site canvas. With the enticing home design and stunning internal sections, you can spread the awareness and attract many more folks willing to support the cause. 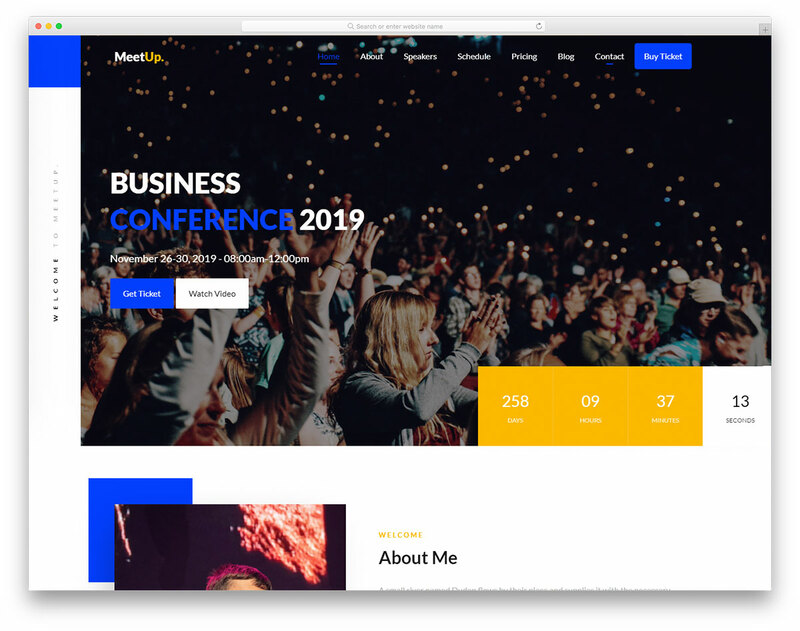 Some of the key features of Giving are Bootstrap, parallax effect, sticky navigation, full-screen banner, testimonials, blog and a functional contact form with Google Maps. It is now or never to finally pursue your passion, start something new and help people all around the world with the amazing work that you do. 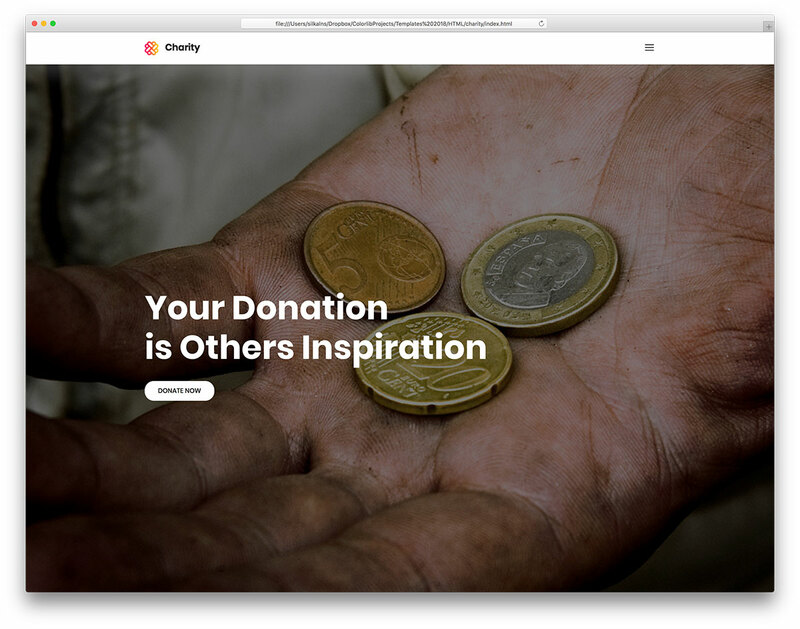 Get supporters and scale your NGO to the Moon. 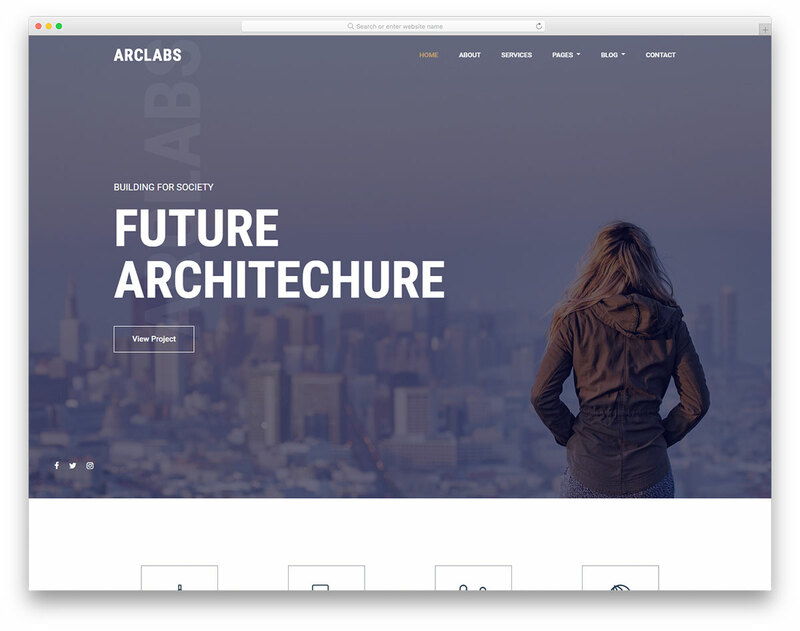 That’s as expected because it is not a WordPress theme but an HTML template. 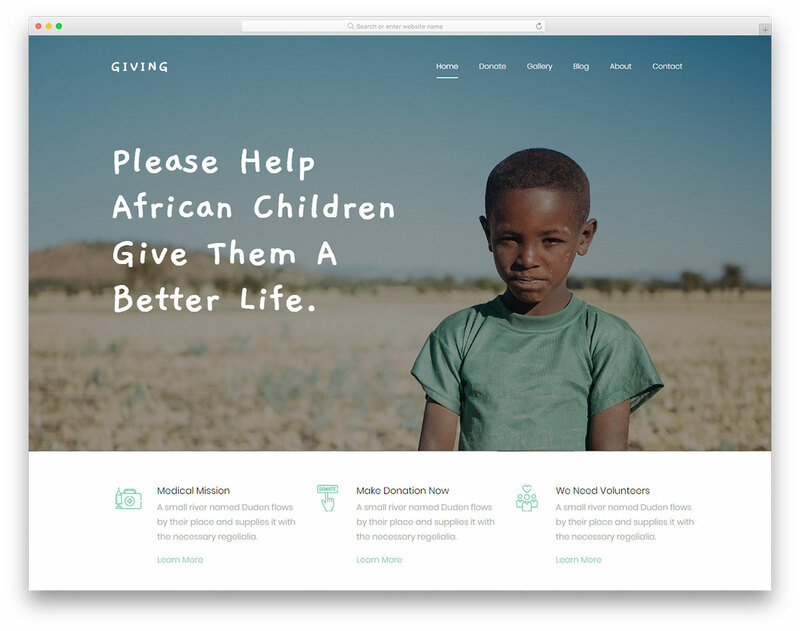 Is there a reason why your Giving template will not work on Internet Explorer? We no longer support IE because Microsoft have discontinued it and will use Chromium platform for its upcoming web browser. Therefore, there is no point of supporting IE going forward. Also, our current stats show that for the site shows that IE us used by under 5% of the users and that number is declining very fast.